Bond is back, in James Bond: Kill Chain, a new comic series by acclaimed British writer Andy Diggle (for notable runs on Green Arrow, Daredevil) and artist Luca Casalanguida. Dynamite Entertainment will publish. 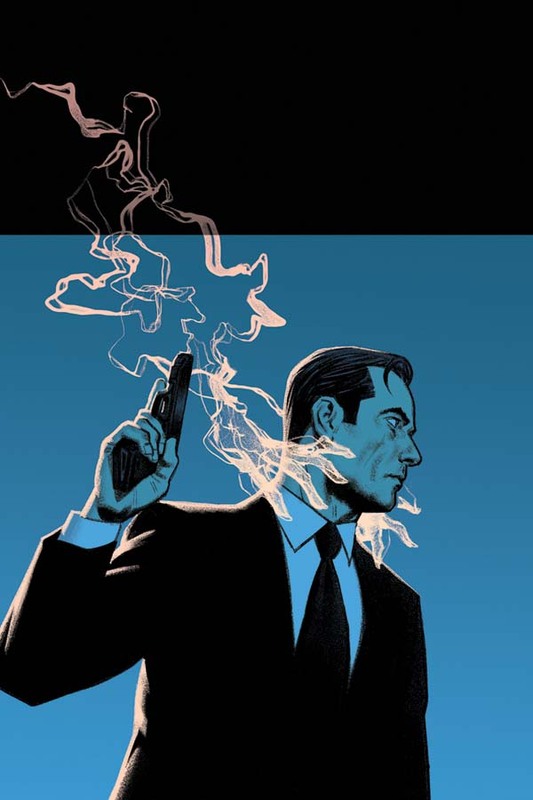 Andy Diggle and Luca Casalanguida previously teamed together in the recent James Bond comic series published through Dynamite, in James Bond: Hammerhead. The duo is set to return for James Bond: Kill Chain; a new tale of international intrigue and espionage for six monthly issues, blasting off in July. Since 2014, Dynamite Entertainment had secured the license from Ian Fleming Publications Ltd to produce the first James Bond comics in over 20 years. Their first James Bond series, written by Transmetropolitan writer Warren Ellis, launched thereafter meeting widespread critical acclaim. Other Bond series followed, with Kill Chain being the newest series. James Bond: Kill Chain #1 will feature three cover variants, featuring the art of Greg Smallwood (Archie, Moon Knight), Juan Doe (Guardians of the Galaxy), and interior artist Luca Casalanguida. Also available are “Black & White” and “Virgin Art” limited variants are also available as retailer incentives for comic shops. Ask your local comics retail dealer for more info. James Bond: Kill Chain #1 is slated for release in July, at local comic book retailers and also be available through Comixology, Dynamite Digital, iVerse, and Dark Horse Digital digital platforms. Can’t wait for this one. Hammerhead was decent. But this plot sounds more grounded and more consistent with the current films.